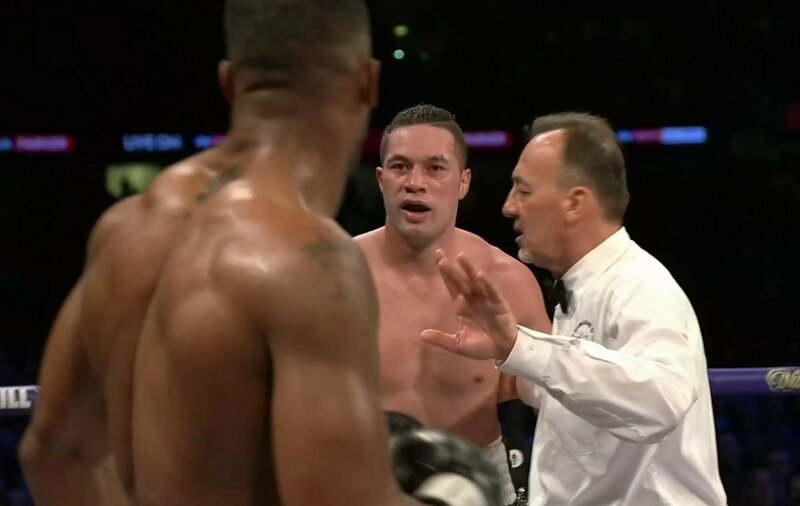 Though there were strong indications Joseph Parker would appeal his recent decision loss to Dillian Whyte, promoter David Higgins has confirmed to Sky Sports that this will not be the case. Parker, who was narrowly outpointed by Whyte in an entertaining scrap last month, was hit by an accidental head-clash in the second-round, the New Zealander suffering from concussion as a result. Even worse, the “knockdown” Parker suffered as a result of the clash was scored as an official knockdown, with the extra points awarded to Whyte proving crucial on the cards. Despite this, and despite having “grounds” upon which to appeal, Higgins said they will instead “take the high ground.” The former WBO heavyweight champ will now fight on for five years, Higgins said, and a return fight with Whyte is their priority – even though Team-Parker fully acknowledge this rematch would be a tough fight to make. Higgins said that Parker, now twice beaten, both via decision, to Whyte and to Anthony Joshua, will fight again in November or December of this year, and that he will have to “rebuild.” Higgins said that future fights in the UK are a distinct possibility for the former champ who has attracted quite a fan following on these shores. Parker’s stock went up despite the loss to Whyte, Higgins said. It will be interesting to see who Parker fights in his next couple of bouts, after he has rebuilt. A fight between Parker and Dereck Chisora would prove intriguing as would a fight between Parker and Jarrell Miller, maybe in yet another elimination bout. Parker is not done yet and he can and will come again. Maybe he needs a little more “devil” in him, as plenty of fans have said how Parker is too much of a “nice guy” both in and out of the ring. Whyte used the rough stuff on him and Parker was found wanting (the British referee was also a factor in the July 28 fight, it must be said; with Whyte being allowed to get away with some quite disgraceful leaning, pushing and holding). Once he adds the rough and tumble element to his game, maybe Parker will be a complete fighter. At age 26 Parker has plenty of time on his side.